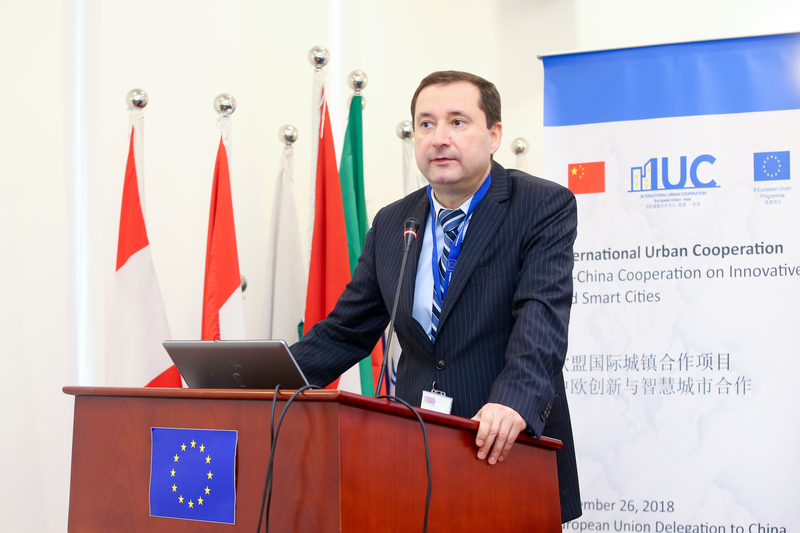 Beijing, China, 26th November 2018, The “EU-China Cooperation Forum on Innovative and Smart Cities” under the EU’s “International Urban Cooperation – Regional Action Asia (IUC Asia)” Programme was held in Beijing. Chris Wood, Deputy Head of EUD delivered the closing speech, by stressing the significance of global impact of the city-to-city cooperation under the IUC Programme. This workshop saw participation of city delegates from EU cities including Granada (Spain), Rome (Italy) and Nice (France), as well as a group of business and institutional representatives mainly in the field of smart city, IoT, advanced manufacturing, health, tourism, etc. from Chinese and European cities. In the first session, delegates from EU cities Granada, Nice, Rome and from Chinese city Zhengzhou delivered keynote speeches on the participation of those pilot cities in the IUC Asia Programme, the currently ongoing pilot projects, and potential opportunities to seek synergy especially in the fields of smart city development, technology innovation, health and smart tourism. Mr. Pablo Gandara and Dr. Shi Xin, the two key experts of the IUC Asia programme, introduced the project background, main cooperation areas and propose methodologies of pursuing effective city-to-city cooperation, as well as the offering suggestions for landing pragmatic pilot projects among business and institutional partners from the two sides. At the two sessions of panel discussions, invited representatives from institutions, high-tech zones, innovation businesses and capital ventures have more in-depth discussion regarding the cooperation opportunities on smart cities and innovative cities, against the background that more focus has been shifted onto the quality of growth rather than speed and quantity in the Chinese context. 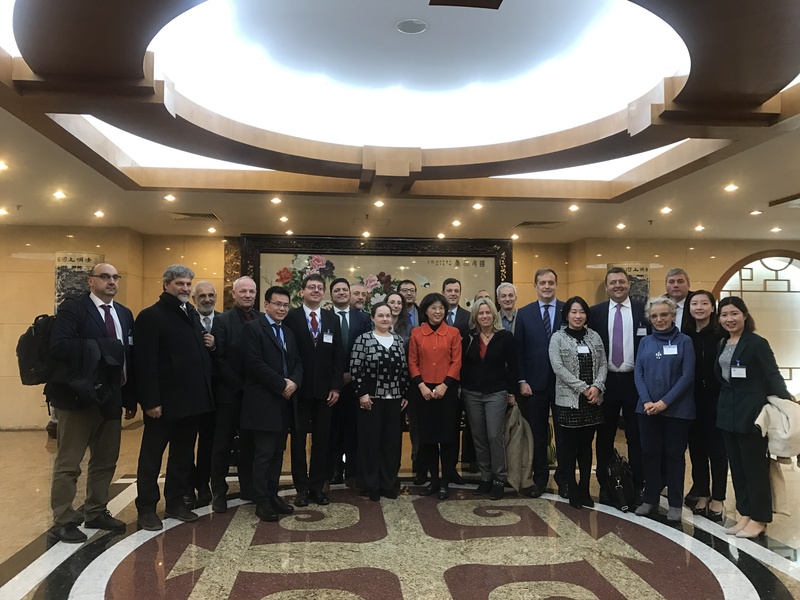 Chinese and European experts shared their experiences and suggestion about how to identify and implement concrete innovation and smart-city projects between the different stakeholders. 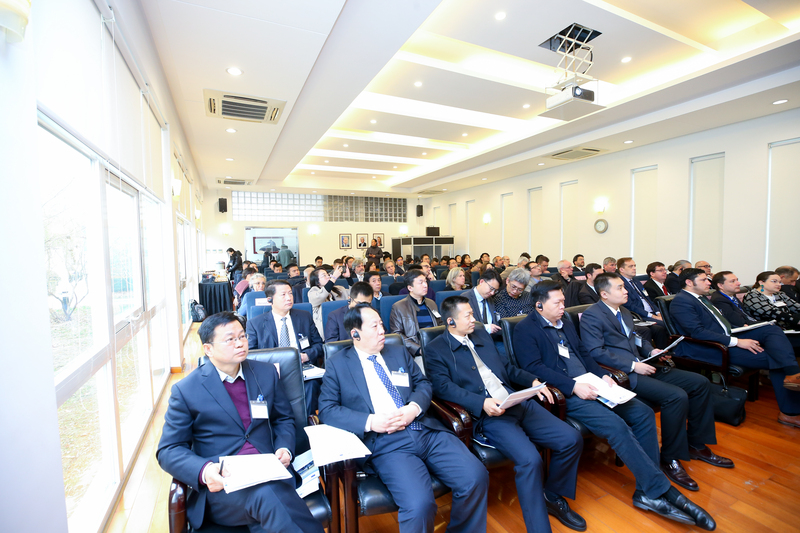 This workshop is part of the one-week mission in China by the EU delegation organized under the IUC Asia Programme. After the workshop, the EU cities delegation met with Regional Economy Department of NDRC, in order to exchange ideas on the work of furthering the bilateral cooperation mechanism. NDRC is the counterpart in China for implementing and coordinating relevant work at ministerial level. Afterwards, the delegation visited the Chinese pilot cities of Yantai and Kunming, where meetings and field visits took place. These included key local stakeholders like government agencies, high-tech zones and business delegates. The aim of the meetings was to identify more concrete cooperation projects for cities, businesses and academia in the field of sustainable urban development.